your coming mail will be highly appreciated. 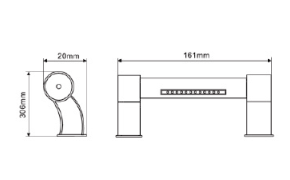 for Led Guardrail Light,Led Wall Washer Light Fixtures,Led Wall Washer Flood Light ,Led Wall Washer Light Products We hope we can have a friendly relationship with businessman from all over the world. 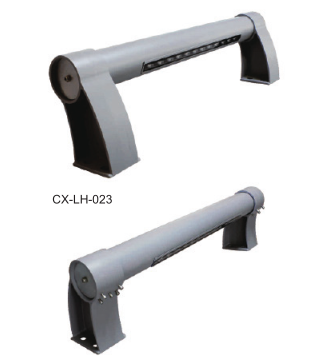 LED Guardrail Light barrier lights on the LED light source, there are red,yellow,green,blue,white,purple,green or colorful color, such as by microchip control, which can realize the gradient, jump, color flashing, random, alternating gradient, chase, scan flow such as color change. It is especially suitable for the application of the billboard background, overpass bridge, river, lake guardrail, building outline and other large dynamic light belts, which can produce a rainbow gorgeous effect.The outline of the building is decorated with a guardrail, which can accentuate the effect of beautifying buildings.It has turned out to be one of the best lighting products in the world. 1.The lamp uses radiant heat dissipation structure design, can let lamps and lanterns have better heat dissipation effect. 2.Meet the protection requirement of IP65, pass national lamps and lanterns quality detection center detection. 3.High strength tempered glass, transparent and uniform. 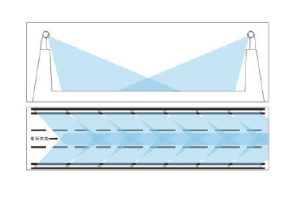 5.The high purity acrylic optical lens improves the luminous efficiency and ensures the output of luminous flux. 6.The luminaire implements 256 gray scale, 16.7 million R/G/B synthetic color changes.